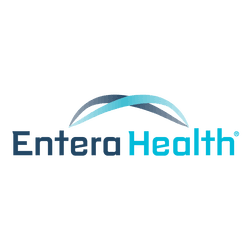 ENTERA HEALTH, INC. ANNOUNCES A PRESENTATION AT THE 2015 ADVANCES IN INFLAMMATORY BOWEL DISEASES ANNUAL MEETING - Entera Health, Inc.
Entera Health, Inc. today announced an upcoming presentation of results from a retrospective chart review of patients with pouchitis who were placed on SBI therapy because they were refractory to other treatment options. Nutritional therapy with SBI helped patients achieve clinical, asymptomatic remission of their pouchitis in 9 out of 10 cases that were reviewed. The presentation will be given by Dr. Larry Good (State University of New York at Stony Brook & South Nassau Communities Hospital, Oceanside, NY) at the 2015 AIBD Annual Meeting in Orlando, FL, on December 10-12, 2015. Dr. Good will be available to discuss the presentation during the poster viewing and reception at the times listed below. To learn more, please visit Entera Health at Booth #32.